The open road, the dusty highway, the heath, the common, the hedgerows, the rolling downs! Camps, villages, towns, cities! Here to-day, up and off to somewhere else to-morrow! Travel, change, interest, excitement! In addition, Sandoe’s are offering a London Morgan subscription – one book a month for one year – carefully selected in consultation with the recipient. Further details here. 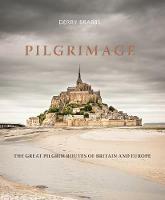 A beautiful guide to the most ancient of pathways; St Cuthbert’s Way to Lindesfarne, the ‘Jakobsweg’ between Cologne and Trier, and the tidebound, Protean road to Mont-St-Michel. Secret gardens in the world’s most unlikely places, including the hidden conservatory at the Barbican, as if a brutalist city had been reclaimed by the rainforest. A revelatory insider’s guide to some well-kept secrets, all open to the public. Roof terraces, courtyards, handkerchief-sized parks, all and more around the globe. The catalogue to accompany an exhibition first held in Cyprus at the A G Leventis Gallery in 2017 which then moved to the Benaki Museum in Athens. The exhibition is on at the British Museum from March – July 2018. 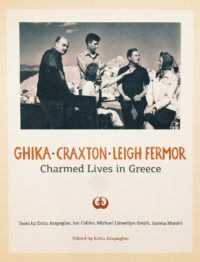 The charmed lives were those led by Nikos Ghika, John Craxton and Patrick Leigh Fermor in Crete, Corfu, Hydra, Athens and the Peloponnese. Their paths first crossed in Greece in the mid 1940s and their friendship was to last five decades. There is a profusion of material – letters, notebooks, diaries and copious photographs as well as many paintings and designs by Ghika and Craxton. Joan Leigh Fermor and Barbara Ghika are ever-present, of course; other figures in the labyrinthine network of their friendships and acquaintances include Rex Warner, Stephen Spender, Steven Runciman, Niko Kazantzakis, Ann Fleming, Jock Murray, Peter Watson, Lucian Freud, George Pyschoundakis, Konstantinos Mitsotakis – a roll-call of lasting fascination. All three men shared a joy in life, an infectious joie de vivre, and, as many will already know, PLF had a distinguished wartime career in SOE, notable especially for the audacious kidnapping of General Kreipe, the leader of the German occupying forces in Crete. This is the catalogue of the show-stopping exhibition now on at the Royal Academy in Piccadilly. Charles I was an ardent collector, who travelled incognito to Spain as a young man and bought the extraordinary Gonzaga collection of art instead of paying court to a proposed wife… He continued collecting, building up one of the finest art collections in Europe, with a lot of exquisite Northern Renaissance paintings including many wondrous Holbeins, as well as outstanding Italian works by Titian and his ilk. Van Dyck, as court painter, produced canvas after canvas of the royal family. After the king’s execution his goods were seized and sold off by the Commonwealth, to consortiums of buyers hoping to make a quick buck, and to private individuals. Many of these works of art made their way overseas once again. His son Charles II, on his restoration to the throne, began a process of buying back what he could of his late father’s collection. 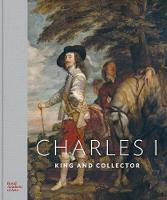 As much as possible of Charles I’s original collection has been reassembled from the Royal Collection and from from museums on the continent for this extraordinary exhibition, and the catalogue is breath-taking. 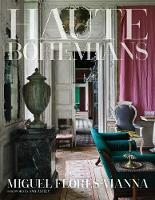 Our recommendation for January 2018 is what we judge to be the best coffee table book of the season, which has gone down a storm on both sides of the Atlantic: gorgeously photographed interiors in Tangier, Berlin, the Dolomites, London, Paris, Milan and elsewhere, chosen for their expression of a private self, rather than the fashionable or over-blown; veering towards the inhabited and unpolished rather than the grandiose. M F-V has a particularly good eye for details of colour and form, artistry and crafstmanship, often in arresting combination. Our December 2017 recommendation for London Morgan is for a novel that is well on its way to becoming a bestseller in the UK as well as in the US: Count Rostov, spared a bullet on his surprising return to Moscow in 1922, must live out his house arrest and leaner times in the still opulent Hotel Metropol. Gently inventive, funny, ingenious and thoroughly beguiling. For those who haven’t read this yet, it is a tremendous pleasure! For our November 2017 book recommendation we have chosen this exciting and deliciously meandering account of four European winds, from Cumbria to Croatia – the Helm, the Bora, the Foehn and the Mistral. Winds that can destroy, flatten, melt, coax, warm, drive mad, inspire – and often elude the author as he goes in search of them across the continent. As the author of ‘Walking the Woods and the Water’, a fine book in the footsteps of Patrick Leigh Fermor, it is no great surprise to see Hunt picking up on an idea of Xan Fielding, which only reached fruition posthumously in his ‘Aeolus Displayed.’ But NH has made the idea his own in this excellent book. A pleasure from start to finish. The glorious children’s classic with the motor-loving Toad of Toad Hall as a central character. This edition has the complete text, with copious notes and a substantial introduction. The text is generously illustrated with pictures taken from many early editions by luminaries such as E H Shepherd, Arthur Rackham, Graham Robertson, Nacny Barnhart and Wyndham Payne. This is a lovely book, ideal for dipping into to refresh one’s memory of Ratty, Badger, Mole, Toad and life on the river bank as well as on the open road. 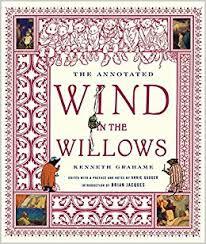 We have many other editions of ‘The Wind in the Willows’, more suitable for children to read on their own or to read aloud, in paperback and hardback. Please contact us directly by telephone or email to ask about these and we will be happy to advise. In the summer of 1974, against the backdrop of the Lebanese Civil War, ceramics expert and Morgan enthusiast John Carswell set off with his young family from their home in Beirut on an expedition across Asia and the Middle East. Their vehicle was their beloved Morgan 4/4 four seater, named ‘Speedy’. Following in the steps of Ibn Battuta, their destination was the Maldives, where Carswell hoped to find evidence of the Chinese blue and white pottery which he was researching. The family travelled via Syria, Jordan, Saudi Arabia and Kuwait, from where they sailed to Bombay (Mumbai). Speedy Motor relates the trials and tribulations of one Morgan over several decades in the Middle East and latterly Europe. When the family were forced to flee Beirut during the Civil War, Speedy temporarily fell into the hands of Hizbollah but years later ‘he’ was reunited with his family in England. Carswell’s vivid account, published for the first time in 2016, provides a vibrant portrait of a region in the grip of change, and is surely indispensable for every owner of a Morgan. Walking sticks, as all Morgan owners will surely know, are not merely ambulation aids but also symbols of authority and status, presentation gifts, fashionable accessories… Canes tell us about the culture, fashion, values and diversions of the people who owned them and the era in which they were made, and this book, lavishly produced in landscape format with informative text, features 400+ antique canes from around the world. Many are embellished with precious stones and metals, tortoiseshell, beautiful carving in ivory and other rare materials. Each one displays exquisite craftsmanship and is ravishingly photographed against black pages. It may be hard to tell from the discrete cover, but this a spectacular, gorgeous book. In 1960, John Steinbeck and his dog Charley set out in their green pickup truck to rediscover the soul of America, visiting small towns and cities from New York to New Orleans. The trip became Travels With Charley, one of his best-loved books. Half a century on, Geert Mak set out from Steinbeck’s home to retrace his footsteps through the potato fields of Maine to the endless prairies of the Midwest. Stumbling across glistening suburbs and boarded-up stores, Mak searched for the roots of America and what remains of the world Steinbeck describes. How has America changed in the last fifty years; what remains of the American dream; and what do Europe and America now have in common?